Posted by starsandcars in tv shows. 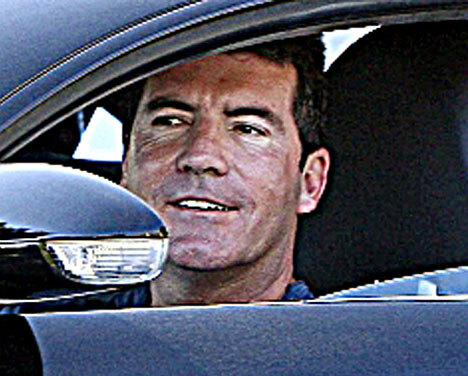 Simon Cowell, the A&R agent turned reality talent show judge is well known for his blunt opinions of contestants as well as his generally smug and pompous attitude. Who would have thought that this empty blowhard was actually a car enthusiast? Well either he is, or he was compensating in a major way when he purchased the holy of holies: a Bugatti Veyron. 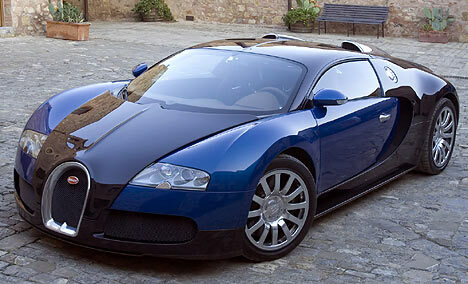 The Veyron is of course, the fastest street legal car in the world and comes with a jaw dropping $1,000,000+ price tag! It is a marvel of engineering which has raised the bar among supercars and now has set the standard for other manufacturers to surpass. The bombastic windbag has even announced plans of buying a second for use in London.